Is Your Pets Policy Illegal? HUD is taking issue with landlords who enforce a strict “no-pets” policy. This week it announced that it is charging an Iowa couple with violating the Fair Housing Act for refusing to allow a “companion animal” for a family whose child has a disability. According to the complaint, the landlords at first refused to allow a seven-year-old girl with cerebral palsy to have a medically-prescribed “emotional support animal” because of the pets policy, then later told the girl’s mother that if she got a dog, she would have to either move or pay more money to stay. According to HUD’s charge, the mother and her daughter were aware of the housing provider’s “no-pets” policy when they moved in and did not contest it at that time. Later, recalling that the Labrador retriever who previously lived with them had alleviated stress for her daughter, the mother asked the owners to permit the daughter to have a dog live with them, and provided documentation of the need for the animal from the daughter’s pediatrician and therapist. The owners denied the request, stating, “We are not intending to modify the ‘no-pets’ policy on our property.” The owners later said that if the mother insisted on bringing the dog in, they would need to collect a $200 deposit and charge an extra $25 per month more for rent. The mother and child eventually moved out of the building to another apartment, which cost more and was much farther from the child’s school. Earlier this month, HUD filed charges in a similar case against a New York landlord who refused to allow the tenant to bring in an “emotional support dog” because it violated the landlord’s ” no-pets” policy. Although the pet was prescribed by a doctor, the landlord challenged whether the man suffers from a disability. Both cases are similar in that the tenants moved into the properties knowing that pets were not allowed, and asked to bring in the animals mid-lease. The other similarity is that these animals were not traditional “service” dogs but rather “companion animals” and this may be an indication that landlords are confused regarding terminology. But HUD makes it clear that two factors are crucial in determining whether enforcing a “no-pets” policy in these cases is discriminatory: both tenants allegedly suffer from a disability, and in both cases the companion animals were medically-prescribed. If a doctor designates the animal as a means to treat a disability, then a landlord cannot refuse a “reasonable accommodation in their rules, policies, practices, or services when needed to provide persons with disabilities an equal opportunity to use or enjoy a dwelling,” according to HUD. It is also against the law to impose different rules and restrictions on those who make such a request, including charging them extra money. HUD’s statement regarding the case implies not only is it against the law for a landlord to charge “pet rent”–the extra $25 per month in this case, but also to require a pet deposit. In a related case, an Oregon landlord was charged with discrimination after she suggested that the tenant choose a different companion animal–a fish or a bird, rather than a dog. The Iowa case will be argued in front of an administrative law judge, who has the authority to award damages to the victims. We were in a similar situation where the tenant sneaked in an animal saying it was for emotional support. The eventual damages were more than any deposits would have covered. Other people who acquired pets and kept them despite the no pet law in our building caused damages to not only the suite but the building itself. Who pays for that in the end? Not the ones setting out the laws. Staircases with carpets had pet hair and feces, urine and dirt traces and the maintenance staff complained when having to constantly clean up. Barking dogs, disturbing other tenants with people phoning during night times, etc. I think if people want to keep pets for any reason they should respect the laws of the criteria of the building or find a suitable place. Many times pets cause damage to an apartment, especially carpet, as I have seen. I had to replace carpet in a whole apartment because of a dog not being taken out. The only place that hadn’t been used as a bathroom was under the bed. It was disgusting and very costly for me. I had no pet deposit or extra rent. So I had to bear the cost of the mess myself. Come on…..GET THE GOVT out of our lives. Next thing we will start hearing…kids cant do homework after 4pm because it causes them to become stressed. Lets go back to common sense. The mother and her child moved out of the building to another property that allows pets. CASE CLOSED. They moved in knowing the no pet policy….what else is needed? Can I go break the law then tell the police officer…Opps I did not know!!! What is this country coming too…..do we really feel this entitled. All about us and no one else. The folks at HUD….. stop going after baseless claims and work on helping Fannie and Freddie fix the housing mess. I see no reason why a “reasonable accommodation” can’t be construed as allowing the pet with an additional security deposit and/or rent. Just because HUD has alleged what they believe the law is, doesn’t make it so. I hope the landlords get a good attorney and that the administrative law judge sets some reasonable precedent on this issue. I’m with Tony on this issue and a lot more. Every time Gov gets involved in supposedly helping someone it seems to always fall onto the landlords back financially. It costs to defend and they set it up that way so that, I believe, landlords will prefer to look the other way in many of these cases. They’re not looking for what’s right to be the answer, but that these “classes” that they get to define, will be taken care of and will then take care of them politically speaking. Just my opinion fwiw. Some pet owners do take care of their pets. Those pet owners are not afraid of paying an additional pet deposit, because the deposit is refundable if no damage is apparent. 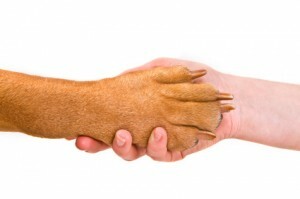 How can a landlord or agent determine if a Tenant will care for their pet? Landlords deserve an additional deposit – which is rarely enough if a pet ruins the carpet, sprays the walls, and gets pet hair in the furnace & a/c filters, ducts, etc. What Right does the next Tenant#2 have who wants to move into a rental – but they have pet allergies? Isn’t the Tenant#2 with pet allergies entitled to the Right to move into a “pet free” unit? No, not if Tenant #1 chose to break a covenant of the contracted agreement. Visiting a local pet store regularly would have been less expensive than owning a pet for Tenant #1 , and much more considerate to Tenant #2. Are you kidding me? I have a strict no pets policy. Now the government is going to tell me that I must accept pets, and they will take legal action against me if I refuse. The gov’t does not understand the consequences of their actions. If this becomes commonplace, and I cannot increase deposits or rents to try to off-set increased expenses due to anticipated damage, I would be wise to increase everyone’s deposits and rents in anticipation of some bureacratic mandate. The bureacrats have obviously never been property owners and never concerned themselves with the multiple issues caused by tenants while trying to remain profitable. @Tony I totally agree with you. What about personal responsibility? It’s not like these people were not aware of the No Pets policy when they signed the lease. If they wanted a pet in the future they should have found a property that was open to pets- it’s common sense. What is crazy is that the government is telling these landlords how to run a their business and suing them for enforcing their legally binding document that the adult tenants signed freely knowing the pet policy. How much are these stupidity lawsuitS costing us taxpayers? Ron Paul 2012- let’s scale back government intrusion into our liberties. So I’m a landlord – if a tenant wants a ‘companion’ cat – and I’m severely allergic to cats – do I have to acquiesce to their demands? If I have to inspect a home I’m renting that has a cat, I will have to visit the hospital every time I do an inspection because my allergies are that severe. Where are my rights to not have to endure life-threatening allergens in a home that I own? Ed nailed it. The ADA is a government regulation. Just like all government regulations, compliance causes consumer expense. The liberal response is always related to fairness to everyone. Ron Paul isn’t the answer, but a less invasive government certainly would help. Our economy is already crashing. I think we would benefit most from just voting everyone out as often as possible. The longer they are in there the more power they get—>want. Power translates into a desire to change something to flex your power. Politians are rarely remembered for the removal of a policy or regulation so instead they try to come up with an additional regulation to hang their legacy on, and the consumer pays every time. There’s nothing wrong with having a “no pets” policy and being able to strictly enforce it. However, having a “companion animal” has actually proven to be very helpful for some people medically, and given that it’s prescribed by a doctor, I shouldn’t think there would be much of an issue with it. I have yet to have a renter with a “companion animal” that allows the animal to tear the place up. I have found that the usual situation is those renters who allow their pets to mess things up that badly are usually renters who are doing some other outlandish crap (though not always, it’s been my experience that it’s thus). I just happen to think that people are overreacting and making mountains out of molehills. By that I mean you’ve probably had a few bad experiences with renters and pets, and so now you’re going to make it a generalization (i.e. everyone with a pet will allow this type of destructive behavior). Feel free to have a “no pet” policy, by all means. But don’t enforce it so strictly that medical allowances can’t be made. I’m a landlord.I have over 200 apartments.I personaly can smell a cat from any place I visit.ppl who don’t have cats or dogs don’t want to live in a place that has them.so that’s a loss of income.new carpet.more loss.new drapes more loss.dog barking.police calls.why dosent the government supply housing units just for these ppl.WHY because of the cost.landlords have lost more rights then they ever had. I hate pets in general though I am not a landlord and my new neighbor has just moved in with a dog in a “no pets” apartment. I’m a little confused as to why this is even allowed because she looks perfectly healthy and I am terrified of dogs and she has one and yeah he barks and stuff but I think the reason why landlord rights are so strict because landlords tend to take advantage if not kept in line. If I rent my car out to someone and they mess up the seats or whatever, at the end of the day it’s my responsibility it’s my car. So I do think it’s a little unfair to charge someone extra because they have a pet there, for the duration of them renting the unit is legally in their possession so if they leave why should they have a responsibility to pay for this? I am in no way saying that kids (I have a daughter) are like animals or even comparable in any way, but children sometimes have accidents and sometimes parents don’t watch them and they mess up stuff. Granted no one could have a “kid” allergy but I believe that if landlords could they would charge a larger deposit for people with children. How do you know they will be watched and not unruly and just mess up stuff left and right? You don’t. But at the same time it also costs a deposit (don’t know if this is in general) to have a waterbed. Your stuff, your responsibility if damage is caused. I do not allow pets in my rental property because no matter how high a pet fee you charge, it NEVER covers all the damages/problems caused by dogs — other residents moving because of aggressive/barking dogs, people who do not pick up after dogs, fleas, ticks, carpet replacement, etc. I know a landlord who had a tenant bring a pit bull to a house he rented (without the landlord’s knowledge) and the dog chewed up baseboards, doors, kitchen cabinets, ripped out screens, tore down venetian blinds and the hardwood floors had to be completely replaced because there was no way to get rid of the foul urine smell. As for this so-called “law,” all the government has done is make it more difficult for HUD renters to find a place to live because all the landlords/ladies have to do is stop accepting HUD. I do not accept HUD anyway and, in my opinion, any landlord/lady who does is nuts! HUD renters do more damage to apartments than non-HUD renters and add to that the damage their pets would do and you may as well take your property off the market and board up the doors and windows! Here in Studio City CA during the reccesion we all had to take dogs – well that was 7 years ago and in the mean time this “emotional support dog ” problem cropped up – How can I tell you that our lawn has had such bad dog excrement and pee for years (I’ve been manager for 21 years here) that anyone one coming here complains about the smell. Tenants relatives/guests come to my door and scream that I owe them for their shoes. I’ve had dog poo in my halls, my lobby , dog pee in my elevator that I cannot get the smell out of it – and I’ve been to dog court twice at East Valley Animal Shelter in San Fernando Valley because people think that their dog barking is talking and comforting to to them. This dog problem makes so many tenants of mine unhappy and we have to bear the work burden for no money (me, the manager; and the owner) So we have people moving out due to the filth and disturbance – now the other problem is vermin – who go to the apartments of the dog owners who leave the food on the floor – I have had nothing but picking up mouse poop since Dec 2013 because of these “emotional support animals” and me and my tenants must listen to the guy who stores his dog in a cage in his walk- in -closet while he is away for 8 to 10 hours a day screaming in emotional pain for 30 – 40- minutes each time he leaves. As a manger for 34 years there has never been a dog owner that has NOT created a problem in barking or damage that far out weighs the dog. Pleae let us have pet free buildings where I don’t have to fear rats because “Jimmy” needs fido to comfort his inabiliblty to have a relationship to with real people. Its Feb 2017. Came back from a landlord meeting. You guys really have to watch out for this one. HUD is sending testers asking if you allow peds, no mention if it’s a service or comfort ped – just if you allow peds. The landlord in a no ped condo said no and the next thing was HUD slap her with an $80,000 law suite. I kid you not $80,000, just watch out.